About The Bahamas: Catch the spirit in Nassau, the bustling hub of the Bahamas since the days of the legendary pirate Blackbeard. This historic city seduces visitors with its tropical splendor combined with world-class shopping, gourmet dining and lively nightlife. 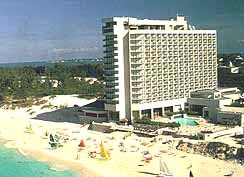 Relax on the world-renowned, powder white sands of Cable Beach by day and enjoy exciting casino action at night, Luxurious hotels and gourmet restaurants help make Cable Beach one of the hottest vacation sports in the Bahamas. 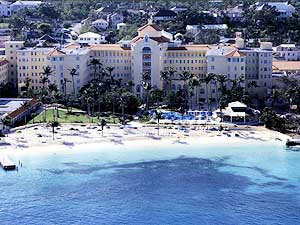 Paradise Island offers unspoiled natural beauty and is easily accessible from Nassau. Cross the bridge or take a ferry to visit one of the most glamorous and celebrated resort areas in the world. 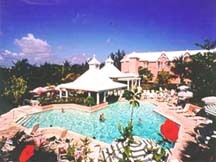 Offering exclusive tranquility or plenty of action, Paradise Island is much more than a "pair o' dice!" An array of watersports, golf, duty-free shopping and non-stop nightlife make the Bahamas the perfect destination for the vacationer that wants to do it all! Climate: Temperature average 70-75°F (21-24°C) from September to May, 80-85°F (27-29°C) the rest of the year. 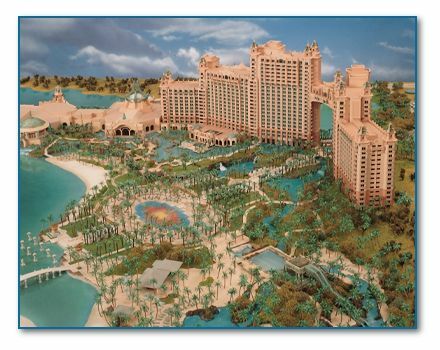 Currency: The Bahamian dollar, which is on par with the U.S. dollar. U.S. dollars are accepted everywhere. Marrage Requirements: Couple can get married in The Islands of The Bahamas after a residency of one day. Marrage licenses are issued by the Office of the Registrar General in Nassau (242-322-3316). The license fee is $40; no blood tests are required. Documents needed are birth certificates, divorce/death papers (where applicable).